Five Nights at Freddy's: Sister Location is a video game and the upcoming fifth installment of the Five Nights at Freddy's series created by Scott Cawthon. Set to be released in October 2016 this game has a huge hype around it for existing FNAF fans such as Elijah and I. While waiting there has been very little official information given so it's been a fun adventure sifting through the fan theories and the little bit we do know drawing our own conclusions what the game was going to be about. On April 23, 2016, Cawthon released a teaser image of the game on his website, entitled Five Nights at Freddy's: Sister Location, featuring a clown-like animatronic. Shortly after, this character was revealed to be named "Circus Baby". On May 21, 2016, the first video trailer for the game was released on Cawthon's official YouTube page featuring new animatronics and a new location. It was revealed that the game will be released in the fall. On June 17, 2016, a new teaser image was released, featuring a mangled up character named "Ennard" and text that read: "There's a little of me in every body." On July 9, 2016, there was a new teaser image released to scottgames.com featuring seven identical miniature animatronics, theoretically called "Bidybabs". The accompanying text read: "Don't hold it against us. ", a quote previously found in the video trailer. On July 21, 2016, a new teaser image was released, with accompanying text reading: "Get back on your stage, now." Careful fans found that after brightening the image four Balloras (a character in the game) are found in the background in different positions. By this time, various rumors about details within promotional material came to light, mostly focusing on hidden visual details. On August 1, 2016, the release date was confirmed to be within October of 2016. Speculation hinted at the 28th, however Cawthon released a statement on August 7th that the date is a rumor and not official. A new steam page for Sister Location was released this day. On August 16, a teaser image was posted on scottgames.com with the words "Cancelled. Due to Leaks." This was initially taken to indicate that the game itself had been cancelled, however it was quickly revealed to be a part of the story line, as fans who brightened the image discovered the text of a fictional news article discussing how the in-game location had been closed due to gas leaks. Like many other fans the recent Sister Location reveal of “Cancelled Due To Leaks” image positioned at dead center of the official game’s website scared us thinking it could be true. As did many other fans, but then someone decided to change the brightness on the image and a whole treasure trove of text was discovered... a small backstory! Finally, after months of fan speculation and theories we finally have a little more information as to how this all came about. "In other news: The grand opening of Circus Baby's Pizza World has apparently been cancelled due to reported gas leaks in the building. Sources close to the establishment question the report, saying that strange activity around the area at night suggest something else is to blame. One local is quoted as saying "Everything just stopped. There was so much excitement built around this place opening and then they just stopped talking about it. there was only a handful of people that ever got a look at the inside, kids from here and there, making sure everything worked right, you know. I guess they weren't quite as ready as they thought they were." A tenant from across the street claims to have witnessed a large group of cars surrounding building during the night, and large pieces of equipment being taken out of the building under tarps. A few weeks later the building was for sale. There is no comment yet from the local entrepreneur who financed the venture." "If anything, it was just too soon for such an ambitious venture. There is still a bright future for Circus Baby, so be watching for her to appear at a neighborhood party near you!" According to the article, Circus Baby’s Pizza World’s grand opening has been “cancelled due to gas leaks in the building.” An “unnamed source close to the establishment” pointed out strange activity in the building at night which definitely matches the tone and setting of the normal FNAF games world. 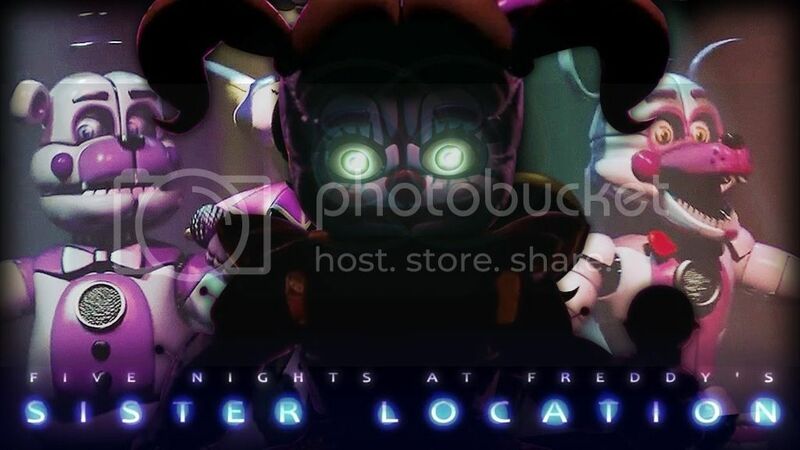 Also the pizzeria being emptied of “large equipment covered with tarp” at night and many cars surrounded the building during that incident suggests that it is probably the animatronics being taken out of the building, but we will not know for sure until the release in October when we can see the games actual setting. So what do you think? Are you as excited as we are? We can't wait until the game is released to finally get to experience all these new settings and characters!